Dr. Sarah Kristolaitis, ND. Ottawa, Ontario | Personalized, evidence-informed Naturopathic Medicine. 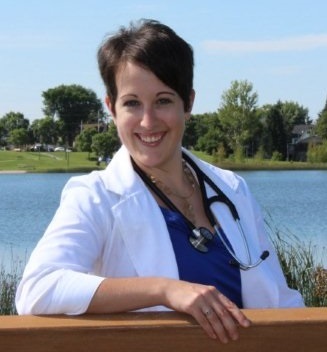 I’m a Naturopathic Doctor practicing in Ottawa, Ontario. I’m passionate about helping people achieve better health through the use of natural and traditional medicines. As a self-professed science geek (my undergraduate degree was in Genetics and Biochemistry), I strive to bring together these medicines with the best of scientific research to create safe, effective, and evidence-informed treatment plans. In my practice, you’re a partner in the process. I will listen to you, and always answer your questions. One of my biggest goals is to give you control over your health by providing you with the education and tools that you need to feel better and prevent future disease. I can help you with any non-emergent medical condition. I am especially passionate about treating and preventing diabetes, cardiovascular disease, and skin conditions. I am currently practicing at Sage Wellness. For up to date hours, prices, and contact information, please check out Sage’s website HERE.